Attorney Carl J. Ohall has represented plaintiffs in personal injury law and individuals in divorce, child custody, and support issues throughout the Tampa area for more than 20 years. A native of Granite City, Illinois, Attorney Ohall grew up in a military family and lived in Hawaii, Kansas, Iowa, and Belgium before settling in Florida. He has a teenage daughter. He graduated from Florida State University in 1991 with a Bachelor's Degree in Political Science before earning his Law Degree from Stetson University College of Law. After gaining admission to the Florida Bar in 1994, Attorney Ohall opened the Law Office of Carl J. Ohall. 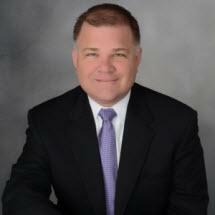 In 1996, he became a founding partner in the law firm of Alfonso & Ohall, P.A. He founded the Tampa Bay Legal Center, P.A., in 2003. Throughout his legal career, Attorney Ohall has focused his practice in the areas of divorce, child custody and visitation, child support, personal injury law, and general civil litigation. He is a firm believer in communication as the most important aspect of an attorney-client relationship. He makes the most of technology to ensure you receive the time and attention you deserve. All calls and voicemails are forwarded to his mobile phone so that he can reply promptly. Attorney Ohall attempts to return calls and emails the same day in most cases. Although most cases can be resolved in order to save the parties the high costs of litigation, Attorney Ohall has handled cases through trial (jury trial, bench trial, and arbitration) when necessary. His focus on his clients is critical to the success of the case.